In almost every industry, there is a need for electrical and electronic systems technicians. For that reason, the job outlook for electrical and electronic systems technicians is fairly steady, according to the Bureau of Labor Statistics (BLS). What Does An Electrical And Electronics Systems Tech Do? 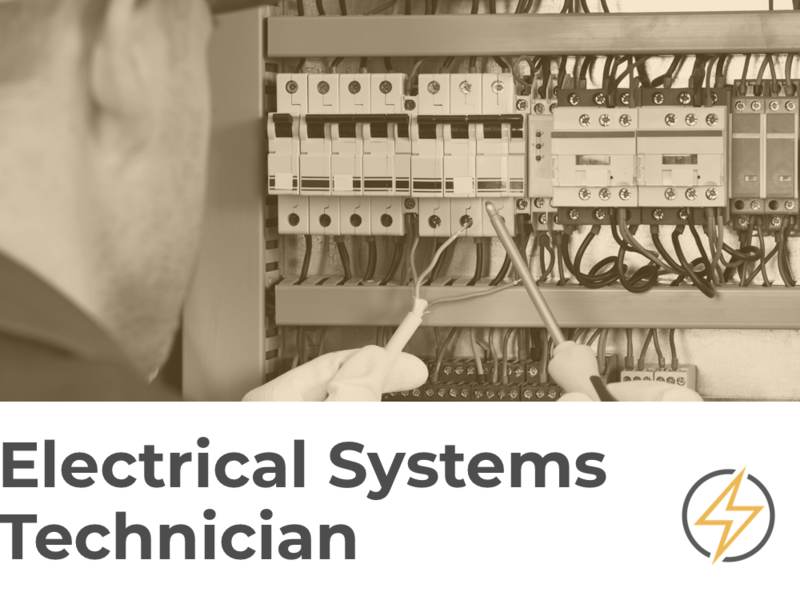 As a trained electrician and electronics systems technician—also referred to by the BLS as “electrical and electronics engineering technician”—you will be addressing problems with complex electrical or electronic components. You will be trained to use tools that determine what needs to be done to bring faulty systems back to life. Just about everything in use today relies in one way or another on electricity and electronics. So when you’re training to be an electrical and electronics systems technician, you will learn how to do updates, repairs, or installations of electrical and electronic equipment on construction sites, in residential settings, in factories, or other industrial locations. Once trained, you can expect to apply your electrical and electronic systems knowledge to work with home theater, audio, video, home alarm and security systems, intercoms, fiber optic telecoms, computer networking and wireless systems. You may work full time in factories or repair shops. Others may decide to freelance. How Much Does An Electrical And Electronic Systems Technician Make? After your schooling is finished and you have been certified, you can expect a median salary of $63,000, according to the BLS. However, if you work in certain industries, you can make from $70,000 to $100,000 or more per year. These higher-paying industries include mining, waste treatment and disposal, and foundation and structure. Building contractors also bring in this level of income. What Type Of Schooling Is Required To Become An Electrical Systems Technician? To become an electrical systems technician, the minimum requirement is an associate degree or certificate from a trade school. The coursework covers personal electronic equipment to larger commercial products. You will learn basic concepts of electrical theory, and about electrical quantities, resistors, circuits, measuring instruments, and more. Your classes will teach you how to work with low-voltage electronic systems, about installation, troubleshooting, and repair. There are the expected courses in circuitry, fiber optics, computer programming, and national, state, and local regulations, building codes, and safety practices. Finally, you can expect to develop skills in cable preparation, handling, termination, and testing. You will have to learn how to troubleshoot today’s digital systems and networks. To earn an associate degree will take a minimum of two years, while earning a trade school certification will take approximately one year. Find a local trade school or college offering training for a career as an electrical systems tech.